Golden Triangle is India�s most sought after travel circuit that covers three most historic and historical destinations: Delhi, Bikaner,Agra and Jaipur. 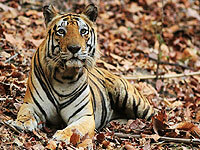 It is a cultural journey in Northern India and experience that will liger in your memory forever. On this exciting cultural tour in North India you will have a great opportunity to see and explore some of the best Indian monuments, cultural & heritage sites, historical places and pilgrimage places. Red Fort, Qutub Minar and Humayun�s Tomb in Delhi; Taj Mahal, Agra Fort and Fatehpur Sikri in Agra (Uttar Pradesh); and Jantar Mantar Observatory in Jaipur & Bikaner (Rajasthan) camel safari are highlights of the journey. These all are also UNESCO World Heritage Sites and visited by a large number of domestic and international tourists each year. There are several other monuments and tourist attractions you will love to explore on this fascinating cultural journey in India. #RaoBikajiGroups# has brought a range of golden triangle tour packages with combination of some other popular / non popolar destinations to choose from. Destinations Covered : Delhi - Bikaner - Agra - Ranthambore - Jaipur-Delhi. 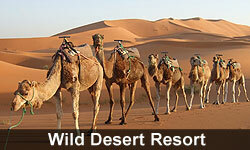 Destination Covered : New Delhi, Bikaner, Agra, Jaipur and Ranthambore National Park.